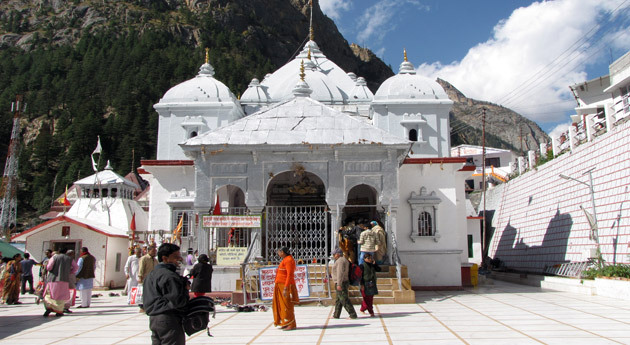 ﻿	Gangotri Badrinath Yamunotri Package & Cost – Teen Dham Yatra. Teen Dham Yatra is considered to be one of the most sacred pilgrim tours. The Divine Yatra tour package takes you to three dhams of Gangotri, Badrinath and Kedarnath. The Teen Dhams hold a lot of importance for the Hindus. People from different corners of the world visit India to seek blessings at these shrines. You also get to explore other major attractions of Uttarakhand with this tour including Uttarkashi, Rudraprayag and Rishikesh. With this 7 nights and 8 days tour package by Indiapilgrimtours.com, you can take one step towards inner peace. On arrival in Haridwar, head towards your first destination, Uttarkashi. On reaching Uttarkashi, check-in at the hotel. Uttarkashi is a popular pilgrimage site and it houses numerous temples and ashrams. After taking some rest at the hotel, seek blessings at Vishwanath Temple. After Darshan and aarti, return to the hotel. Have your dinner and enjoy a comfortable overnight stay at the hotel. After having your breakfast in the morning, leave for Gangotri. Gangotri is a famous Hindu Pilgrimage town which is set on the Greater Himalayan Range at a height of 3,100m. Gangotri is a part of the Char Dham Yatra. The town holds great religious importance as the holy river Ganga is believed to have touched earth at this spot. On reaching Gangotri, take a holy dip in the sacred water of Ganges. Visit the Gangotri Temple which was built back in the 18th century. Seek the blessings of Goddess Ganga and drive back to Uttarkashi. On reaching the hotel, have your dinner and stay overnight. Munch some healthy breakfast and then leave for Guptkashi. On reaching Guptkashi, check-in at the hotel. Get your medical checkup done for your next day’s trek to Kedarnath. Later, have your dinner. Stay overnight at the hotel. Early morning after breakfast check out from the hotel and drive to Sonprayag. From here, you will start your 20 km trek to Kedarnath. At your own expense you can hire a Doli or a horse, for your trek. On the way to Kedarnath, pilgrims get to view the gushing River Mandakini. 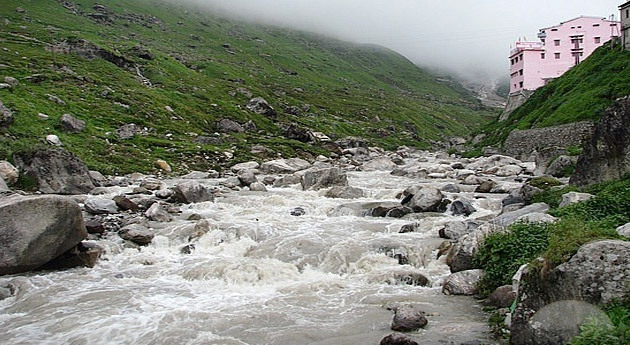 One of the main tributaries of the Ganges, the river originates at Kedarnath and flows through Gaurikund. The trek to the abode of the Lord is made bearable with the continuous chants of the Lord Bholenath’s name. As you scale the route, sometimes the mountain mist would envelop the peaks and slowly lift away. Magnificent views of the mountains of Uttarakhand are revealed to the Yatris. On arrival check in at Govt. Camps/Lodges. Dinner and Overnight at Govt. Camps/Lodges. Later you'll start the return trek of 20 km from Kedarnath to Sonprayag. The vehicles wait for you in Sonprayag Car Parking and you’ll drive to your hotel. Dinner and Overnight at Guptkashi/ Rudraparyag. On this 6th day of the Teen Dham Tour, you have your breakfast and then leave for your next destination, Badrinath via Joshimath. While driving to Badrinath, enjoy the beautiful sights of the surroundings. After reaching Badrinath, check-in at the hotel. Enjoy refreshments and take some rest before visiting the temple. Later, leave for Tapt Kund (Hot Spring) where you take a bath. Then, head towards the temple for Darshan. 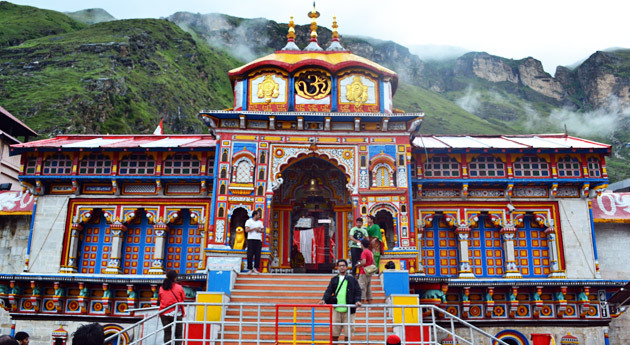 Badrinath is one of the most important pilgrimage sites in the Hindu Chardham Yatra. Badrinath Temple is dedicated to Lord Vishnu and people from all over the world visit the Dham to seek the blessings of Lord Vishnu. After Darshan at the temple, go back to the hotel. Have your dinner and stay overnight. Begin this morning with Darshan at Badrinath Temple and return to the hotel for breakfast. Then leave for local sightseeing around Badrinath. Pay a visit to famous shrines and other attractions of Badrinath like Mana Village, Vyas Gufa, Ganesh Gufa, and Mata Murti temple. Later, leave for Rudraprayag via Karanprayag. Located in Uttarakhand, Rudraprayag is a small pilgrim town which is known to hold immense religious importance. The beautiful town takes its name from the Hindu God, Lord Shiva. People from all over the world visit the place to seek the blessings of Lord Shiva. After reaching Rudraprayag, check-in at the hotel. You can spend the rest of the day at leisure or go out to visit attractions of Rudraprayag. Enjoy your dinner and stay overnight at the hotel. This is the last day of your Teen Dham Yatra. Have your breakfast early in the morning and then drive to Rishikesh. Rishikesh is a major travel destination of the country and is well-known as the Yoga capital of the world. 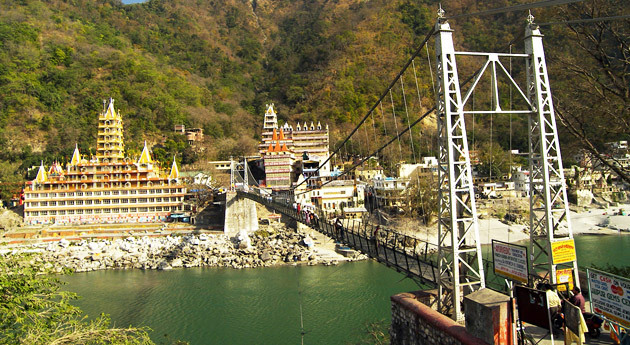 On reaching Rishikesh, go out for sightseeing at Ram Jhula and Laxman Jhula. In the evening, drive back to Haridwar and get down at Haridwar Railway Station. From the station, carry on with your onward journey. The tour ends here.